Exlabesa Building Systems has announced the promotion of Paul Benn to General Manager. Paul joined the business back in 2015 and his promotion reflects what he has achieved during his time. In his new role, Paul will report to Director of Exlabesa Building Systems (Global), Paco Quinta. 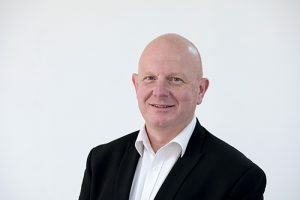 Commenting on Paul’s promotion, Derek Hodgson, former General Manager of Exlabesa Building Systems said: “Having been with the business for seven years, I had recently made a personal decision to take a step back from the business. I will, however, continue to support Paul and the rest of the team going forward. Paul has been a great asset to myself and Exlabesa Building Systems and is a natural successor for this role. I wish him every success in his new position”. Previously holding the post of National Sales Manager, Paul has been instrumental in help building the company’s well-respected position in the UK fenestration market. His appointment as General Manager reflects the strength of his abilities and his commitment to create opportunities to further strengthen the UK operations. Paul has been tasked with the specific goal of generating profitable sales in the UK for the company’s aluminium systems and realising Exlabesa Building Systems ambition to continue to grow market share. Paul takes up his new position from 1st November, 2018. Exlabesa Building Systems is one of the country’s most experienced aluminium systems houses and continues to invest in new products, facilities and machinery to continually support the growing UK market. Plus, as part of the Exlabesa Group, the company is part of the largest privately owned aluminium extrusion company in Europe and one that operates in 40 countries on three continents.